Chelsea, Karlee, and I spent a couple days in St. Louis while on the graduation trip. 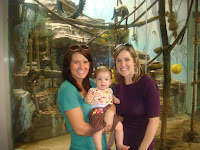 Ashley thought it would be fun to take Karlee to the zoo. She was a little nervous about a few of the animals but mostly she really liked it. She started saying "what's that" on the trip and said that will all the animals. 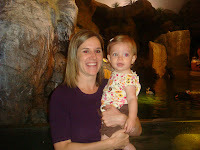 She especially liked the monkeys and the penguins. 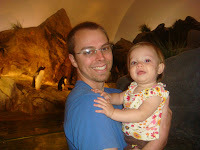 We had a lot of fun at the zoo. It's a really good zoo with lots of fun animals, and the best part is that it's free. Ahhh! 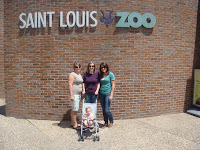 The S. Louis zoo!!! 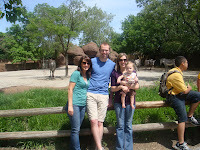 I took my kids to the Waco zoo a few months ago and it really made me miss the St. Louis zoo! Waco had 1 bear- and I was remembering how St. Louis had every bear yopu could think of! Jealous! You need to edit your pictures. Karlee and I look freaky with our red eyes in one of the pictures. 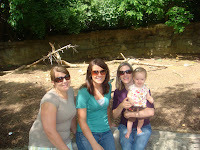 The zoo was fun though! Oh,yeah! The STL Zoo. Lucky girl! Have I ever told you that our family tradition while growing up was to spend Christmas Eve at the Zoo every year? We went in frigid weather in the middle of blizzards!